The male selects the nest site and establishes the territory. Intruders are chased in the air and on the ground. The male courtship-feeds the female, after which activity copulation usually takes place. The monogamous pair often fly slowly round the territory, one behind the other, raising and lowering their crests. Builds a bulb-shaped nest of clay beneath a sheltering projection on a cliff. They may also nest beneath overhanging eaves of a building, within the structure of a bridge, or on protected places on a dam. A social species that nests in colonies of various size. The clutch size is usually three to four eggs. The eggs are incubated by the female, but both parents feed the young. Male constructs outer framework of deep bowl-shaped nest of grass and various fibers, in small trees, bamboo, dense grass, or thickets. Female assists in lining with moss, cobwebs, hair, etc. Thirteen-day incubation of 3-5 blue-green or white eggs shared by parents. The male yellow-winged blackbird (Agelaius thilius) is black, like the red-wing, but has yellow shoulders and underwing coverts. Like the red-wing, the yellow-winged blackbird marks the arrival of spring with song. It is the southern counterpart of the red-wing, found over the southerly parts of South America, from Bolivia and southern Brazil to Patagonia. The yellow-winged blackbird remains monogamous during its lifetime and is not territorial, unlike its close relative. Males often fly in flocks of 30-40, remaining apart from larger groups of females and the young outside of the breeding season. The family includes species with socially monogamous and polygynous mating systems. Monogamous pairs of catbirds defend an all-purpose territory. Males do not assist with nest building, incubation, or brooding of nestlings (which they do feed). The promiscuous males of the 17 polygynous bowerbirds defend only the immediate area of their bowers. A seasonal hyperabundance of fruits permits promiscuous males to spend inordinate amounts of time at their courts, in attracting courting females, while also permitting females to nest and provision their offspring unaided. Males and females look similar, but the monogamous males have rear tarsal spurs, which are used in fights with other male snowcocks for females. Males and females look similar, but the monogamous males have rear tarsal spurs, which are used in fights with other male snowcocks for females. Monogamous known to breed from January through April in North America and March through June in Cuba, but few data are available. Nest cavity is in a large dead tree or in a live tree with extensive heartrot. Recorded nests have been 24-50 ft (7.3-15.2 m) up cavity entrance typically taller than wide, but shape varies. Clutch 2-4 eggs incubation by both parents incubation period and age at fledging not known young may remain with parents until next breeding season. Monogamous breeds October-January 2-4 white eggs laid in tree hollow incubation by female probably 20 days chicks fed by both parents, fledging at 30 days. Breeding by courols also takes place during summer monsoon season, when a clutch of up to four white eggs is laid in a hollow limb or tree hole, and incubation by the female lasts at least 20 days. Newly hatched chicks are down covered. The points considered in the above sections return several times to unique or characteristic features of seabirds having vast colonies, most species being colonial, monogamy, and long feeding trips during the breeding season. It seems likely that, ultimately, the functions of colonial breeding in seabirds will be found to lie within the interactions of such characteristics, but the precise mechanism has probably yet to be recognized. 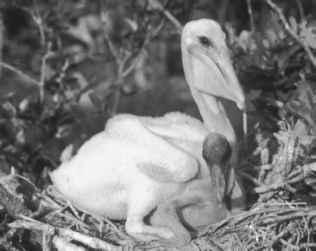 Wittenberger and Hunt (1985) concluded that there was not a single cause of colonial breeding in seabirds (let alone birds in general). A wealth of new general hypotheses indicate that this conclusion has not yet been universally accepted. 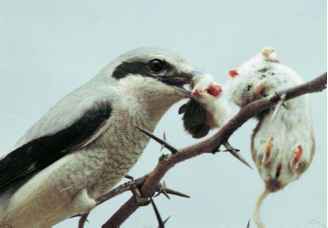 Breeds in monogamous pairs, once per year, and male and female share nest-building duties, although the female carries a larger burden. Nests are spherical and hang from a branch of a deciduous tree. Clutches include two to six eggs, which the female incubates for 15 to 17 days. Juveniles fledge at 19 to 21 days and are fed by both parents. Monogamous breeders, in solitary pairs or in small colonies. Nests are built by both sexes, near the trunk on a horizontal limb or on a cross-arm of a human-made structure. Nest is cup-shaped. Clutches of three to seven eggs are incubated 18 to 19 days by the female and young are fed by both parents and fledge after 16 to 17 days. Nest is cup-shaped and compact, often with hanging streamers, built by female in the fork of a deciduous tree. One clutch per year of two to four eggs, incubated by female for 12 to 15 days. Juveniles remain in the nest for 12 to 14 days, fed by both sexes. When courting herons meet, they perform a dance-like ritual, bending and straightening their necks and clashing their beaks together. Such behaviour looks odd to us, but it is full of signals that only the herons can understand. It helps them overcome their wariness of strangers, and strengthens the bond between them. Like most birds, herons are monogamous, which means that couples stay together to raise a family. Monogamous often nests in near treeless areas, excavating cavities in utility poles, occasionally dirt banks sometimes uses nest boxes. Not a strong excavator and often uses available cavities. 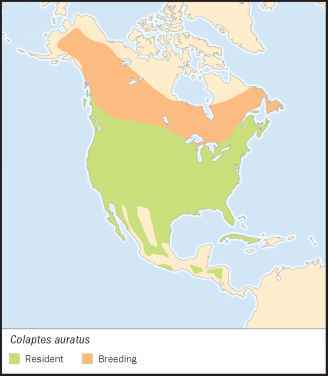 Nesting occurs February-August (earlier in warmer latitudes, later in colder areas). Clutch size 3-12 eggs, 4-9 common incubation 11-12 days by both parents young fledge at 25-28 days. Young are fed by regurgitation. Two broods possible. Often suffers from competition for cavities with the introduced European starling (Sturnus vulgaris). IN SOME WAYS, THE FAMILY LIVES OF BIRDS are much like our own. More than 90 per cent of bird species are monogamous, which means that males and females form stable couples that work together to raise a family. In some species, such as swans, couples may stay together for life. But despite the appearance of stability and harmony, family life among birds is full of hardship, deceit, and even cruelty. Birds almost always lay more eggs than will reach adulthood, and from the moment they hatch, chicks face a struggle to survive that only the strongest can win. Builds a simple cup-shaped nest of twigs on a rocky cliff and sometimes on buildings. The clutch size is two to three eggs, and both parents feed the young. Monogamous. Builds a nest at the end of an approximately 3-ft (1-m) long passage dug into an earthen or sandy bank. The clutch consists of three to six white eggs. There are from one to three broods per season, depending on the local food availability. 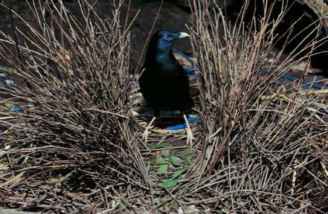 The cup-shaped nest is rather bulky and placed in a thorny bush or in a tree it is hidden 9.8-39.4 ft (3-12 m) above the ground. There appears to be a geographical variation in clutch size four to six eggs in China, four in Sri Lanka, three in the Malay Peninsula, and two in New Guinea. Breeding season varies with geographical areas the western race lays eggs between the end of March and July. Locally double-brooded replacement clutches are frequent. Incubation by female lasts 13-16 days, and the young fledge after 14-19 days. Before breeding, they build pocket-shaped nests of bark flakes, plant fibers, twigs, conifer needles, mosses, and silks, which are placed behind loose sheets of bark, in a split-out tree, or behind a heavy growth of ivy. Nests are lined inside with feathers and shredded bark. Monogamous (muh-NAH-guh-mus) partners (having one mate) build nests usually 5 to 50 feet (1.5 to 15 meters) above the ground. The nest is built away from other nests and birds. Females lay four to eight eggs, which are lightly flecked with reddish brown. The incubation period is thirteen to seventeen days, which is performed only by the female. The nestling period (time period necessary to take care of young before ready to fly off) is thirteen to sixteen days. Both parents feed the young birds, with only one brood per year. 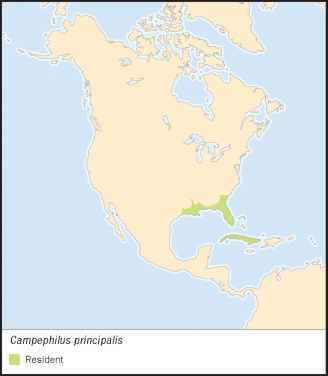 Monogamous, with large breeding territories. Breeding pairs form loose colonies where food sources are concentrated. In a courtship display a male flies as high as 300 ft (90 m) over his territory, chasing the female while making circles and erratic zig-zag patterns. Two to three grayish blue, mottled eggs laid in cup-shaped nest of plant matter, spider webs, and hair nest built in central fork of a tree. Both parents incubate 14-16 days young hatch naked and helpless. Fledge at 18-25 days. Phainopeplas can product two to three broods per year. Behavior and reproduction Purple sunbirds forage for nectar, insects, and related creatures in forests and often visit gardens to seek out nectar. The call can be rendered as a humming zit zit and swee swee. 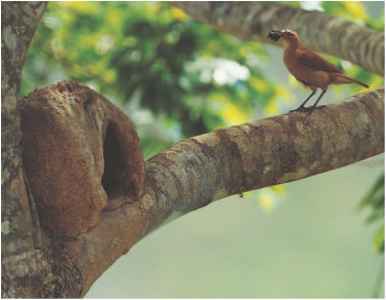 Breeding follows the usual pattern among sunbirds monogamous breeding pairs, purse-like nests, female incubating eggs, and both parents caring for the chicks. Monogamous in small groups, holding small territories during later austral spring and summer (October-February). Nests are shallow, flimsy, and saucer-like, built of plant fiber and tendrils. Eggs usually three. Both parents share all nesting duties, and additional birds may help feed the young. They prefer living alone and in pairs, but may be found in small loose flocks in winter, often with other sparrow species. They are generally monogamous birds, but can be polygynous (puh-LIJ-uh-nus having more than one mate). Males aggressively defend their territory, often fighting with other males. Their bulky cup-shaped nests are made of leaves, bark strips, grasses, stems, and other plants and lined with fine materials. Song sparrows usually place nests on the ground, among grasses, or in a low-lying bush or thicket. Nests are usually near a stream. Females lay three to six eggs that are greenish white with reddish brown markings. Nesting is done from late February to August. The incubation period is ten to fourteen days, and the fledgling period is seven to fourteen days. The pair feeds and takes care of the young. Two to three broods are possible each year, with four broods possible in southern areas. Behavior and reproduction Males sing from perches that make them very visible. The also jump upward with a flick of their wings. In winter, they join flocks of a few hundred seed-eating birds. They are monogamous birds. Nests are built low to the ground, usually not more than 10 feet (3 meters) off the ground. From May through October, females lay two to three eggs. Incubation and fledgling periods are not known. Behavior and reproduction Baltimore orioles breed in monogamous (muh-NAH-guh-mus) pairs, with one male and one female. The male attracts a mate by singing, chasing, and showing off his plumage. Females weave basket-like nests of grass and plant and human-made fibers that hang from tree branches. They lay eggs in average clutches of four to five eggs, which hatch in approximately two weeks. Both mother and father feed the hatchlings until they leave the nest after two weeks. Almost all pittas breed seasonally, with breeding timed to coincide with the onset of the rainy season. An exception to this pattern is the superb pitta (Pitta superba), which apparently nests throughout the year on the island of Manus. 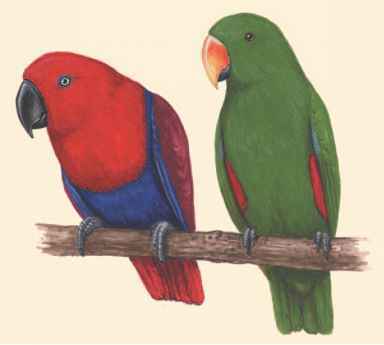 In most species there are relatively few unique displays prior to copulation, and most pittas probably are monogamous. 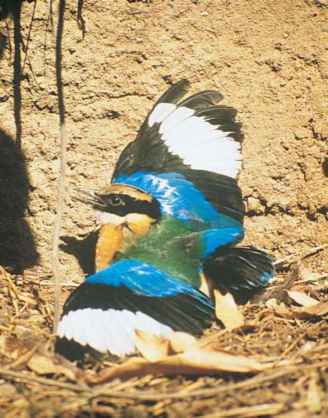 However, the African pitta performs a unique display prior to the breeding season. During display bouts, this species repeatedly jumps about 10 in (25 cm) into the air, parachuting back to the perch with several shallow wing-beats. During this display the red belly is prominently displayed and the birds often give a prrt-wheet vocalization. The curassow's courtship ritual involves a series of sequenced movements. 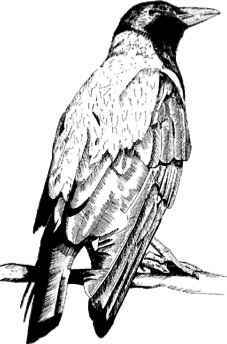 The male adopts a display posture, leaning forward with his breast very low to the ground. He then raises his head and tail and fluffs out his white abdomen feathers. He may stop to pick up a pebble and then toss his head back he then drops the pebble before making the booming call. Following these displays, the female will enter his territory. 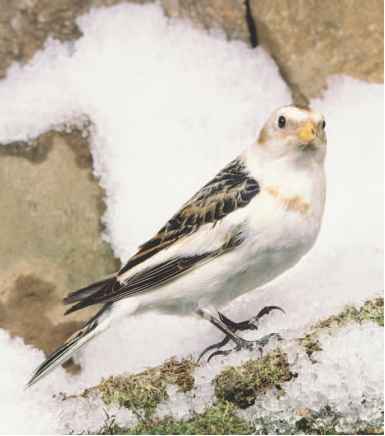 Pairs are monogamous and breed from late winter to spring, depending on the region. Both sexes build an untidy nest of twigs and leaves in a bush or tree, no more than 6' above the ground. There, the female lays her two eggs, which she incubates for 32 days with the male remaining nearby. Since the young are born with well-developed flight feathers, they are ready to leave the nest within a few hours. Has a coarse twig base with a cup lined with hair, wool, and feathers. Eggs number four to eight, rarely three to 10. They are whitish with small spots of reddish brown. Incubation is by the female alone for 12-14 days young are fed by both sexes for 16-18 days. 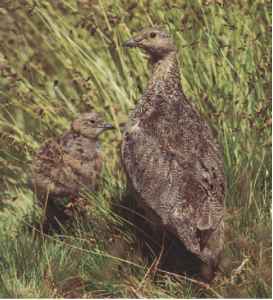 Single-brooded in Canada, double-brooded or rarely triple-brooded in southern parts of the range. Generally monogamous, but polygyny does occur regularly. Behavior and reproduction There is limited information. The species forms monogamous pairs, female and male sharing in incubating the clutch of up to three eggs, and feeding the young. The parents savagely defend the nest and young. The nest is cup-shaped and built in at the fork of a tree branch. Breeds from August to February, with nesting peaking in October and November in Zimbabwe and Transvaal. Nests are often in open areas and often in cavities excavated by other species. Clutch size 2-5 eggs incubation lasts 15-18 days parental duties carried out by both parents. Nest cavities may be reused. You can safely download your risk free copy of Make Him a Monogamy Junkie from the special discount link below.